Another vote for First Defence. I carry antibac hand gel around all the time, and I touch as little as I can. Salt gargles are good too. Elderberry. The old hot water in a bowl and breathing it in while you have a towel over your head When the chronic fatigue was in the acute phase, I did actively avoid people, and it helped, because when I was ill, I was ill for months, each time. Have you isolated yourself on purpose, or is it just accidental? Would you mind getting out more? Your toes ... no clue! You're right to go to the doc, it could be circulation, a previous injury thats caused a previously hidden issue, arthritis pressing on a nerve, badly fitting shoes ... the list is endless I hope your doc listens and takes note, to be honest I haven't had wonderful experiences in that regard. Good luck! So any time I go somewhere people are sitting close, I seem to pick up germs from them. Last Christmas I got quite a bad cold from a bus journey. The one where I abandonned my car at gridlocked Savacentre. Recently, I had to go to the doctors regarding loosing feeling in a couple of toes. (He has no idea what the trouble is.) However, as usual, three days afterwards I started a runny nose & sore throat. Any thoughts, regarding my toes, or avoiding people's germs? I began losing the sensation in my toes, fingers and eventually face.. Along with no immune system (caught everything going and shingles!) brain fog, fatigue.. etc.. Took them a long while and with my Aunts insistance I got the Dr to check my B12 level it was through the floor, turns out I had pernicious anemia (runs in the family for me) that said, it could be that your B12 level is really low, that and (or) your vitamin D.. You'll have to specifically ask the Dr to test for these as its not part of routine bloods.. Worth a shot? I think immune systems need that peck of dirt, but I scout & so get a happy dose most weeks. Otherwise saline, soap & please see your medic about toes! You only get 10 & it's really tricky getting shoes if you start misplacing toes. Hoping the reason Why is manageable, if not mendable! Me, I get sore throats most winters. Sometimes quinsy (red tonsils, yellow spots), sometimes a good try at tonsillitis (red, big, breathing OK Just). Our practice nurse has introduced me to Covonia throat spray which tastes every bit as vile as you might imagine but properly targeted gets at the sorest bits, so my appearances for antibiotics has fallen. To my annoyance a son has also "discovered" this & is "splashing it about" rather more than I budgeted for - I had to buy a new bottle! I have made it clear that if I catch him using it as a bioweapon on his brother I'll do Something Nasty, then left his imagination to finish the sentence. Eldest has given me his ipod nano since he no longer uses it! It's now been wiped & is having a stack of audio books loaded onto it to lend to youngest, who is struggling to find audio books he can work to. Walk, yes, work, not so much. I thin he's onto a hiding to nothing for working & audio books myself (other than as a noise masker), but a good book to walk back from school to is much easier. Last edited by DigForVictory; 08-11-2018 at 8:42 PM. I'd look at making sure I got sufficient vitamins - being inside a lot means you're likely (as all of us are in this Godforsaken Land of milk and honey) to have very low Vitamin D and you might not be getting enough other vitamins in your diet. I'd also check my shoes aren't tied too tightly. And then I'd go back to the GP for him to exclude stuff like diabetes and give all the medical advice he's qualified to give. As per germs, it's what happens outside sterile bubbles. Washing hands, using hand gel & getting the flu jab and any other vaccinations that you've missed or are out of date can only do so much, but sometimes it can be enough. Thanks guys. Some interesting thoughts there. I will buy some of that First Defence stuff. Regarding my toes, I am changing all my shoes today, just in case any are pressing somewhere. From an MS perspective, please see that medic first? As shoes are expensive..
jk0 that might be B12 , as MM said, ask to be rested for pernicious anaemia and ask for the actual number of your B12, it should be above 70. It might come back at 24 and they'll still tell you it's "fine" - don't believe them lol, it should be around 70. My hubby has had PA for many years and he had the numb toes thing. The B12 result number will can vary from one laboratory to another. In my area a test result below 190 is deficient. The important thing is for the reading to be at the top end of the range. Jk0 you need to ask your doctor to test for B12 and vitamin D. If you lack one, often the other is also low. Good deal on AA Batteries. Anyone regularly using heavy duty AA Batteries, check out B&M Bargains. They're selling a 48 pack of Readycell, Super Alkalines for £6-99. That's about 14.5p per battery. I use them in torches, lanterns, and other high power items, and I find them to be excellent. I used them when I tested out this lantern. Noone we know is holidaying in Jordan. around Petra are they? As flash flooding is tricky to prep for other than learn to swim & keep your ID stuff waterproof. Then sacrifice a sock (if you only have 2, locate someone else's) to make a water filter & be Very British about boiling said water before drinking. Adding tea adds charm but the results may not cooperate with toothpaste - may you not need to worry about this! Last edited by DigForVictory; 11-11-2018 at 8:38 AM. If we get water supply problems we have a brook running on the other side of the road to the front garden although having said that it feeds from the hills and is currently running dark brown and full of mud. Though to this end, if I need water I know how to make a gravity fed sand and gravel filter, I'm going to get a gravity fed stainless jobbie with a ceramic filter and then I'll boil it before using it as drinking water. If I still have concerns there's the teaspoon of Milton Liquid in 5 litres and leave it 15 minutes method on top of all the others, surely after all that it must be potable? You could get yourself a Sawyer filter. Having seen a cadet gently handed down after the minutes silence - we think all that standing did a number on the blood pressure - my scouts wanted to know how to prevent it. Most of us were clear that anyone who is stood still is in a tricky situation, but that lots of layers help. Leader most vehement looking whippet thin, and yet swathed in 3 layers under official shirt. I rather doubt preppers do a lot of standing still, but the layers advice is good stuff. We reassured our scouts the cadet would be absolutely fine, but I will have a pack of salt & vinegar crisps & a flask of tea ready for next year. There's also shifting weight between the feet, clenching the various muscles in the legs, behind and lower torso to keep the blood from moving and ensuring they eat a good breakfast including slow release carbs, protein and fat to avoid issues with hunger/low blood sugar. Many cadets will fuel themselves with Monster energy drinks and then wonder why they can't manage a couple of hours on their feet in unpleasant weather. Plus, s/he may have been unwell (or if a 'she', anaemic/dealing with the usual monthly threat to remaining upright). I've definitely noticed that I'm struggling without eating during the day - I'm tired and unable to stand up for an entire lunchtime duty (which is OK, as they're content for me to sit on the steps for the period) - and despite my revulsion for anything beyond one tea, two black coffees and two cigarettes by 11am, I'm going to have to find something I can stomach - partly because random kids coming up to me and handing me sweets/biscuits because I 'look pale' and 'need to eat' is rather embarrassing. 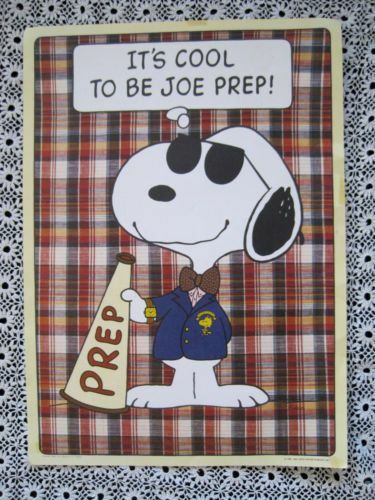 Anybody upping their preps or plans after the news today re a no-deal Brexit getting more likely? Nah. I always thought it was the most likely outcome with our Illustrious Leaders. Cynicism goes hand in hand with prepping. They'll make a deal at one minute to midnight on the last possible day. You won't even hear anything sensible until 2019 at the very earliest. I bought two jars of olives - eat one a week - one cannot be too careful. Even if they don't make a deal we'll get by somehow. Life surely is meant to be about change and challenges otherwise how do mankind grow as a race? We've a wealth of experience and ideas that can become solutions to any problem that arises and we've all made some preparation for what we can see happening so with a bit of innovation and the support of each other we'll be OK!